In 1843, the artist Patrick Allan returned from his european travels to meet and marry the last heir to the estate, Elizabeth Fraser. 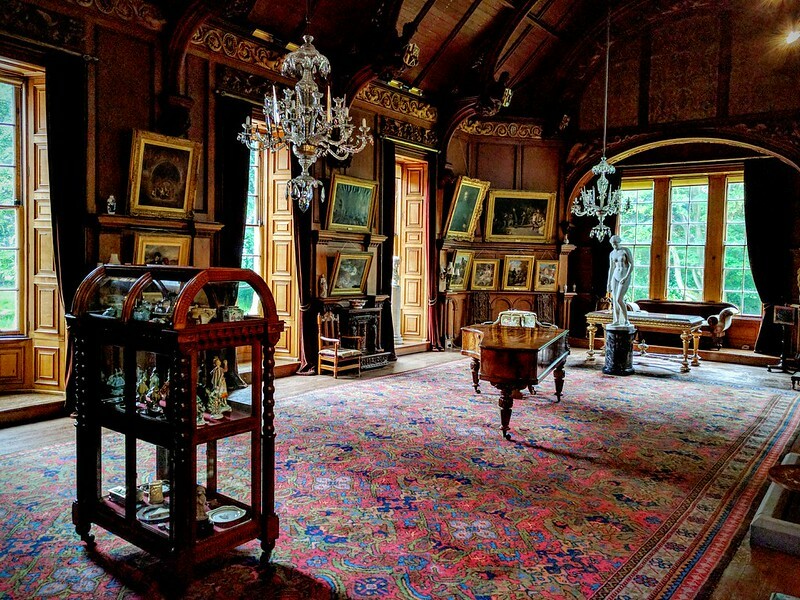 They remodeled the remains of the monastery into a beautiful Arts and Crafts inspired house, including a magnificent Picture Gallery, one of Scotland’s most important Victorian rooms. The Allan-Frasers’ left their estates and collections in trust to support artists and further education in the arts. 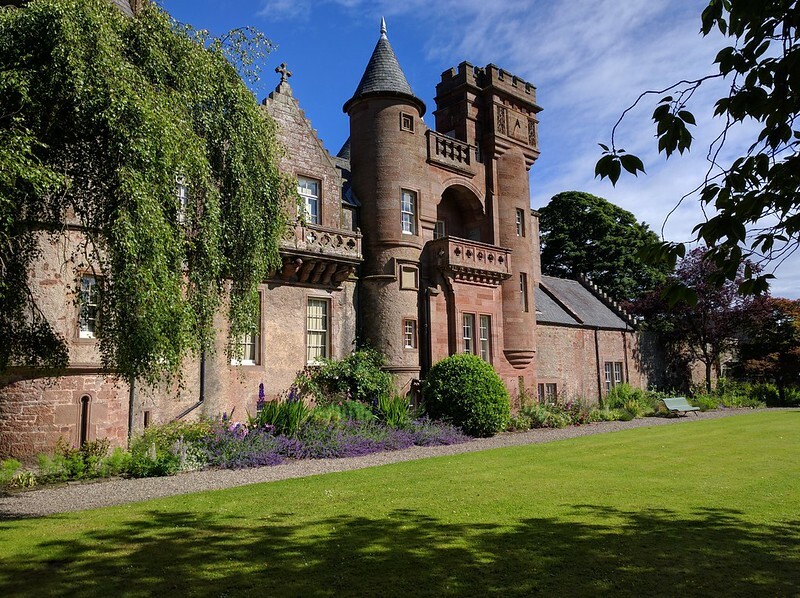 In 1902 Hospitalfield opened as a residential art school and became an important place of study, with a strong relationship to the four main art schools in Scotland, its alumni cover an impressive number of generations. Now, its an astonishing trace of almost 150 years of artists ambitions, wealth, collecting, history, teaching and learning. Not Every Tent is the Same is a quote from Um Saad (Mother of Saad), a novel written by the late Palestinian writer Ghassan Kanafani, who was killed in Beirut 1972 by the Israeli Mossad. When Um Saad said to her son “Not every tent is the same” she was referring to the similarities and differences between two states. One is the passive state of waiting and hoping, which conjures up an image of a refugee under a makeshift structure; the other, more active state, is about replacing waiting with taking initiative, resisting the difficult circumstances or the status quo. Not Every Tent is the Same took place over three days, contributors to the programme highlighted some of the ways that art and its processes engage with, activate and negotiate many different geographies, times, identities and conditions. Space was added to the programme to discuss the questions – personal and political – wrought by Brexit from European Union. Not Every Tent is the Same also included contributions from artist Michael Rakowitz, the curator Andrea Thal and the team at CIC Cairo, Lucy Byatt, Laura Simpson, a political advisor, farmer Gray from Balcathie Farm, and the Curatorial Studio collective. My tent was firmly pitched in the future, as my participation consisted of a screening of Museum Futures followed by a lively and at times intense discussion, about possible futures for art, artists and the institutions necessary to support them. The programme took place mostly at Hospitalfield through talks, various screenings, workshops, walks, tours and performances. The hospitality was generous, with great attention given to catering and spaces for informal discussion, accommodation for some was in the house, although the majority of participants brought a tent, not every tent was the same. Related projects include Occupy the Future and Re_Source.